Fans of the Song of Ice and Fire series and the hit HBO show Game of Thrones will be sure to love the look of this licensed collectible! 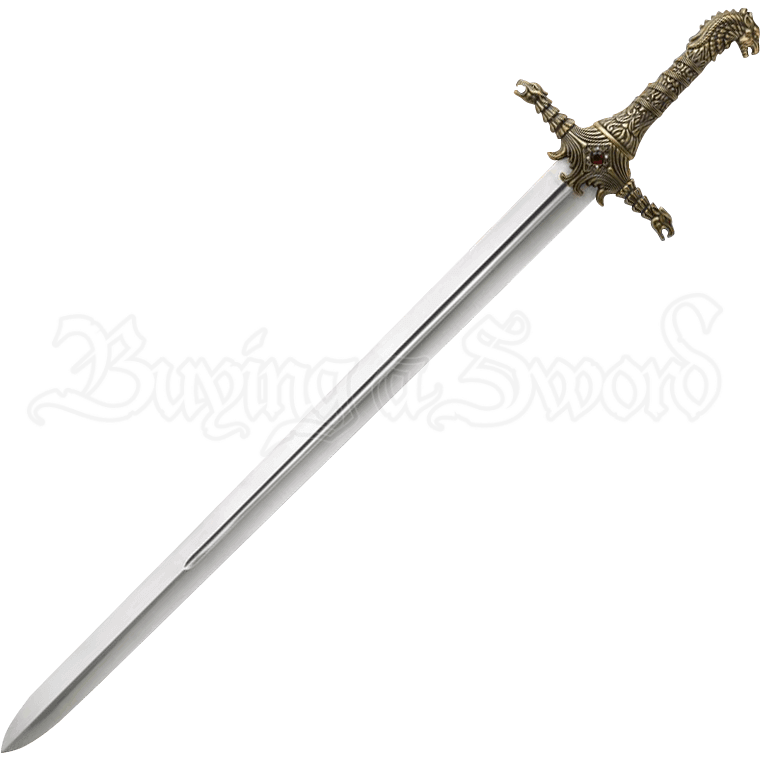 The Game of Thrones Oathkeeper Sword has been authentically modeled after the actual TV show prop. 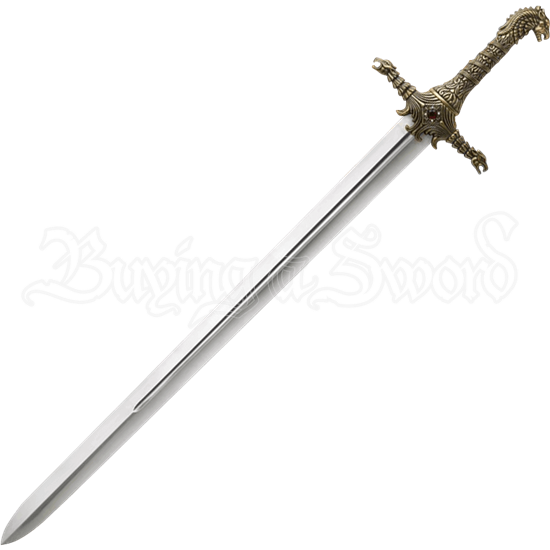 The blade is crafted from stainless steel, while the hilt is bronze-plated cast metal with faux jewels. The Game of Thrones sword comes with a silkscreened wooden display plaque with the Tarth sigil and a Certificate of Authenticity. Brienne is a highborn lady who would rather be a knight. As the envoy of Catelyn Stark, she escorted Jaime Lannister back to Kings Landing. The two fighters developed a mutual respect for each other during their journey. She is given Oathkeeper by Jaime after his father, Lord Tywin Lannister, melts down the Valyrian sword of Eddard Stark, Ice, and has Oathkeeper made from the metal.